For the past three years, I participated in a collaborative project with practicing engineers at Hinman Consulting Engineers, Inc. to examine the assumed elastic deflected shape of the SDOF solution as another source of potential error between SDOF analyses and experimental or computational results for intermediate range threats. 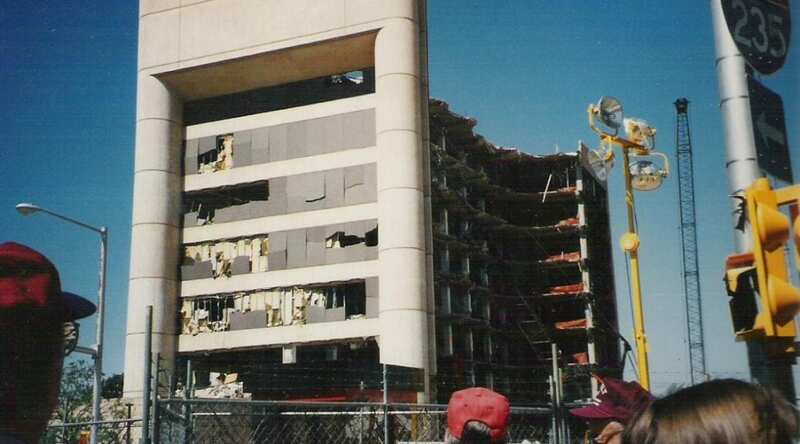 Prior to coming to Lehigh, the PI was a staff member at Hinman and has four years of experience in the implementation, research, and development of various calculation techniques for the analysis of structures subjected to blast loads. Hinman is a recognized leader in the protective design of structures, and its staff has significant expertise in the use of both simple and sophisticated methods for calculating the response of structures to blast. 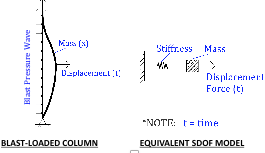 A preliminary study on this topic by a Hinman staff member indicated that the accuracy of SDOF models of structural elements subjected to blast may be affected by several parameters, including the explosive threat characteristics and the mass of the element. In collaboration with Hinman’s staff, the PI is currently pursuing a computational study based at Lehigh to examine the influence and recommended use of these parameters. Evan Mullen, who earned a Master of Science in Lehigh’s CEE department as a Presidential Scholar under the supervision of the PI in January 2016, led this study for 15 months while working on his thesis. His work contributed directly to one of the PI’s primary research goals, which is to develop a multi-year program for the development of improved analysis tools for blast resistant structural design. Awarded funds from Lehigh’s Faculty Research Grant (FRG) program were used to provide Evan’s stipend for the 3 months of Summer 2015. While supported by FRG funds, Evan developed a paper and presentation that was accepted to the 16th International Symposium for the Interaction of Munitions with Structures (http://reg.conferences.dce.ufl.edu/ISIEMS) in November 2015 in Destin, FL. Evan’s activities provided significant seed research that the PI will use to develop multi-year funding proposals to major agencies. This work has also helped further develop an already fruitful collaboration with Hinman’s staff. SDOF analysis is widely used by practicing engineers for the protective design of structures, and the outcome of this project has the potential to significantly impact its use by identifying its limitations.